Designed for modern living, the Ziggy bed from the Daytona range by Signorini & Coco incorporates a glamorous bedroom style. 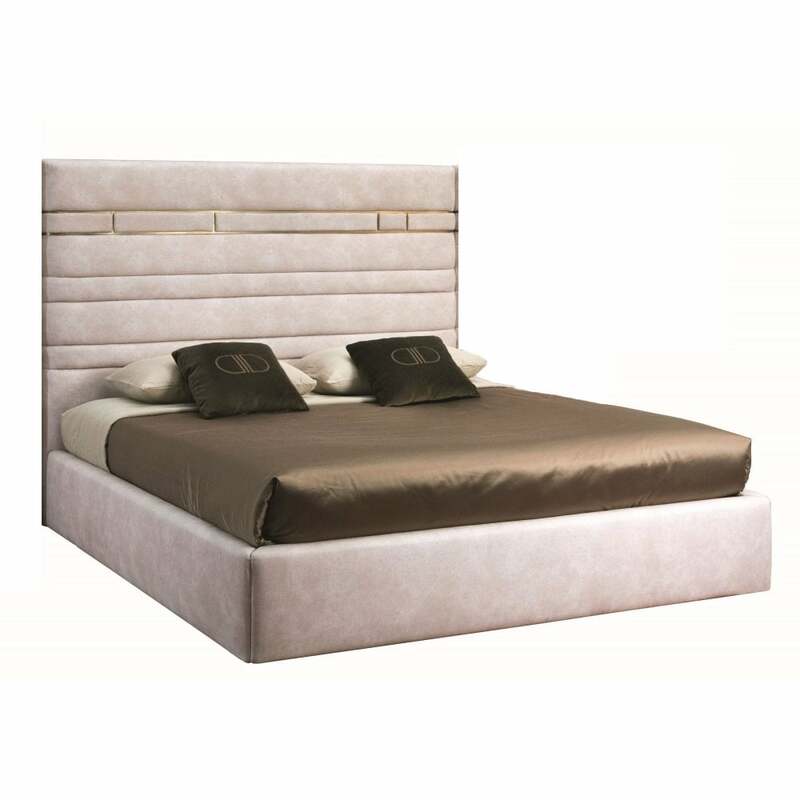 The Ziggy bed features a luxury upholstered base and headboard. The headboard splits into three sections which include distinctive brushed brass detailing. The upholstery can be made bespoke depending on your bedroom interior scheme. Choose from a variety of finishes including fabric, leather or nubuck leather. Style with other pieces from the Daytona collection from Signorini & Coco for an ultra-glamorous look.